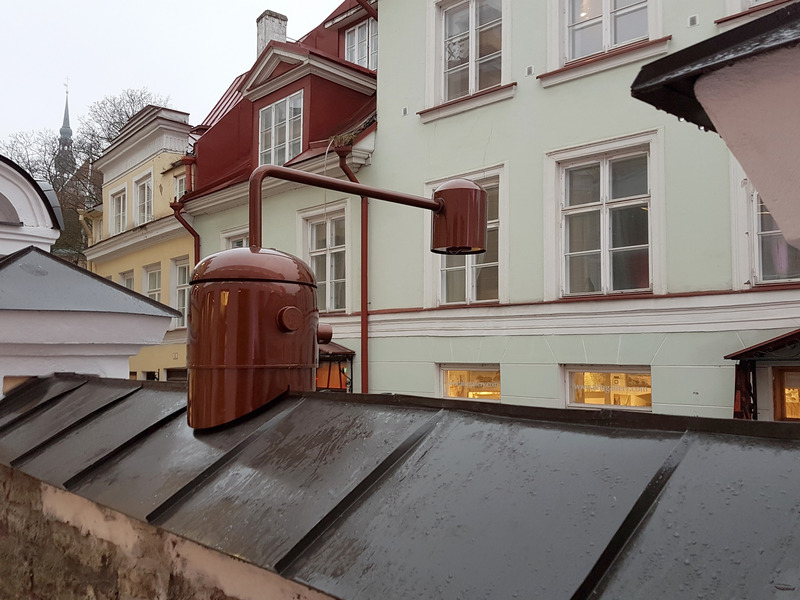 Katusepoisid (in English Roof Guys) got its name from the location: the wall roof of NUKU visual theater in Tallinn old city (Nunne str.). Being inspired by the fantasy world of a visual theater, we got an idea to create curious characters called Katusepoisid, who live on the top of the wall and offer a light play on the street. The aim was to build a bridge between the NUKU Theater and the street, and also give to a viewer a role of an actor and offer a ludic experience in urban space. Katusepoisid is an interactive kinetic light installation, which wakes up when the sun is set and plays a light game with the passers by. The sculptures have eyes and lamps as the light elements. The last ones and the body of each Katusepoiss are kinetic and move to the left and right. If someone is under the installation’s lamp, it gets activated and the artwork starts playing with the person moving its light to the left or right and then moving it away again and again until it finishes its ludic cycle and returns to the original position. 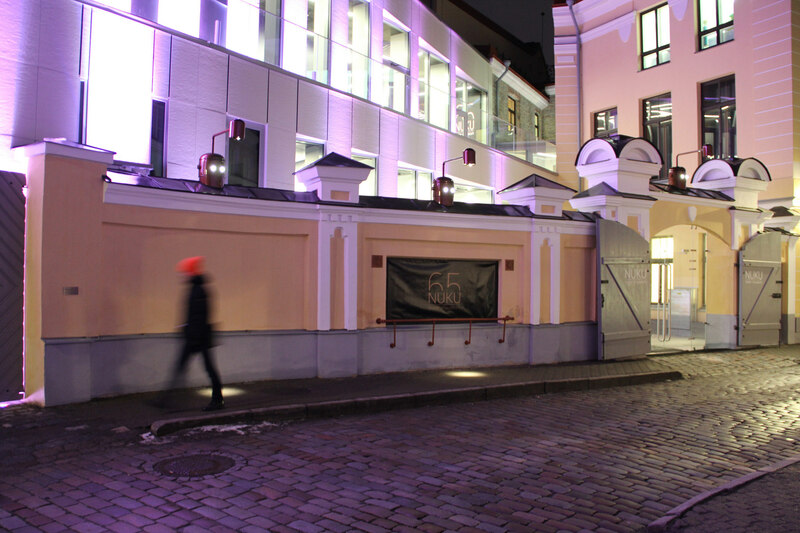 The artwork is installed permanently in the NUKU Theater according to the percent law for art in public building in Estonia. Commissioner is AS Riigi Kinnisvara. 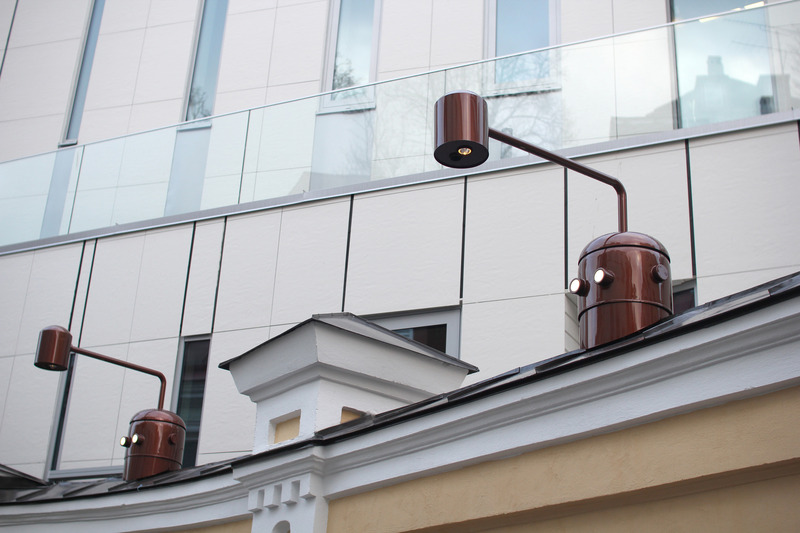 In total three sculptures are placed on the roof of the wall at NUKU Theater (Nunne 4, Tallinn, Estonia). Narrot OÜ for the metal work, Juan Pascual Garcia for helping with his kind advice in electronics, Jesus Maria Rodriguez for documenting the project, Francisco Robles for help during his internship with us, and finally Varvara’s mother Svetlana Guljajeva and our daughter Nora for their understanding and being very patient with us.